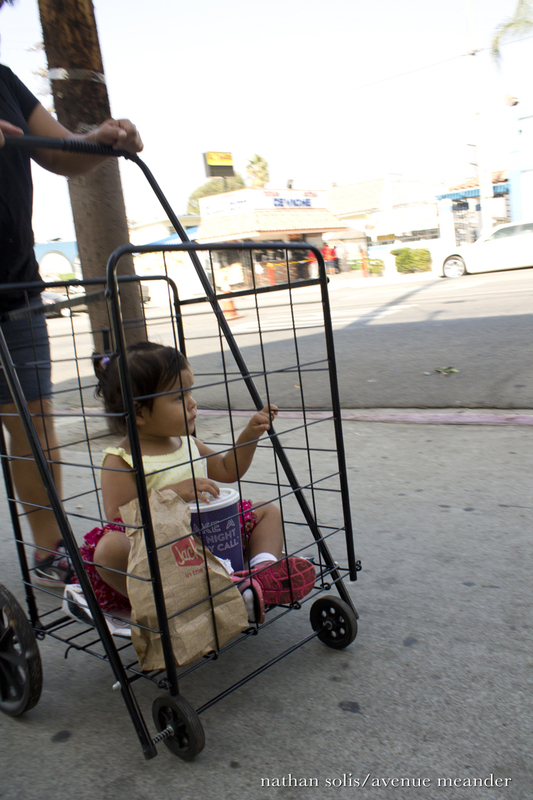 Every time we were pushed in strollers or baskets the world became our own safari. Everything out there on the other side was fascinating and it couldn’t hurt us, because of whatever shield or armor we attributed to our parents. Counting people. 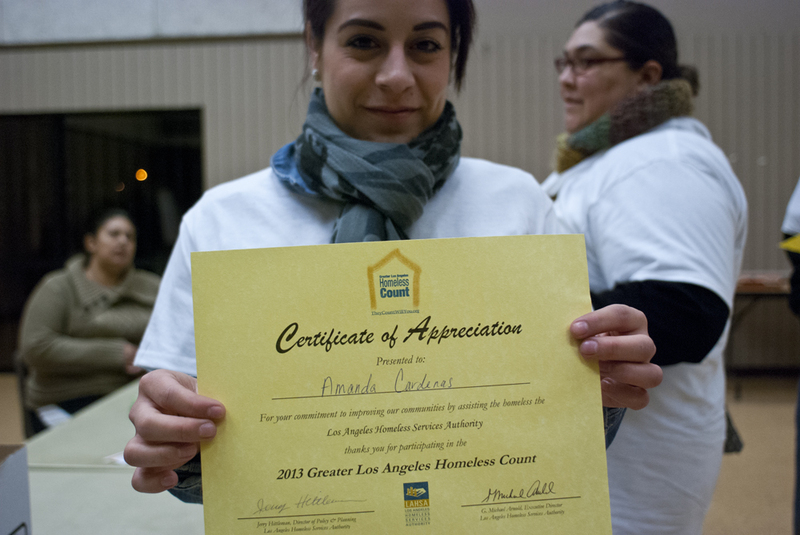 The Los Angeles Homeless Services Authority conducts their homeless count once every other year throughout the Los Angeles County. In 2009 there was an estimated 52,931 homeless counted and in 2011 the number dropped to 51,340. 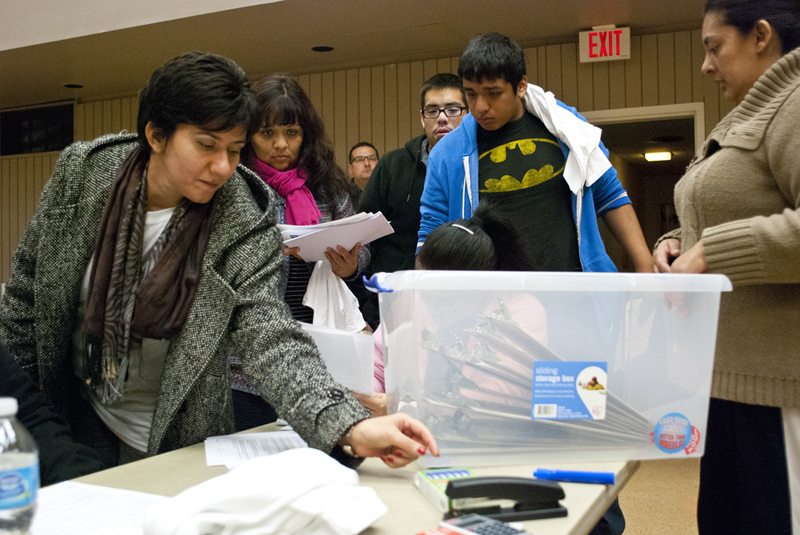 If a city refuses to participate in the count they risk their eligibility in receiving funding from the US Department of Housing and Urban Development, according to LAHSA. The data collected from the count is utilized to better gauge resources and where funding can go for that one community. 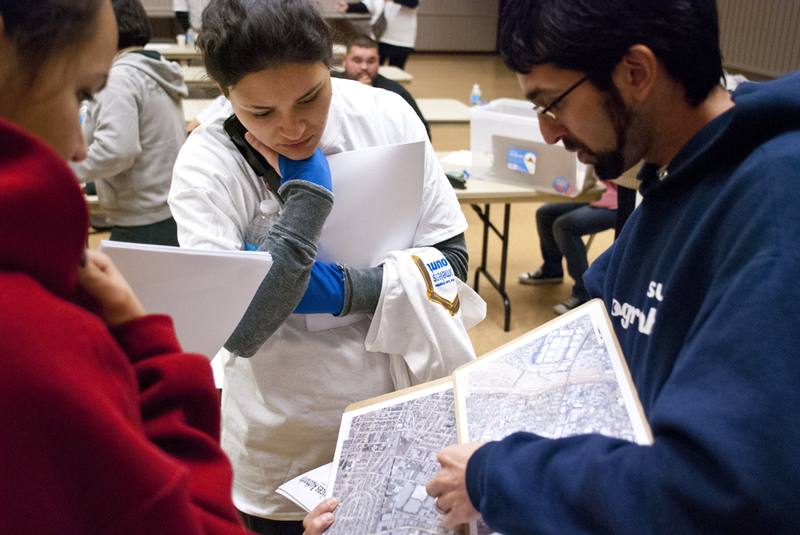 But it all starts with volunteers canvasing their neighborhoods and counting. I attended night one of the count on January 29, 2013. 7:30 p.m. The Centro Maravilla Service Center in East Los Angeles is empty save for a few shadows walking under fluorescent lights in the parking lot. Inside the auditorium are two coordinators and one volunteer. The volunteer, Vanessa from the Boyle Heights, wanted to bring her younger brother along, but since there’s an age limit she’s alone tonight. “I wanted to show him that theses are real people living on the street and whatever people have, it could go in a few minutes,” Vanessa says. A few other volunteers begin to stream in. A couple from the Highland Park neighborhood sits down – Mark and Alyse are active volunteers in their community with a grassroots emphasis on helping children. 7:45 p.m. Executive Director of LAHSA, Michael Arnold, enters the auditorium with a beaming smile, but it dims when the number of volunteers are in the low teens and not the expected 60 plus the coordinators were expecting. He shakes my hand, says he’s glad to see a media presence and introduces himself to a few other volunteers. The room slowly begins to fill. By the end of the night there will be 19 volunteers, not including myself. A number of volunteers are involved in social services or students in a similar field. Violet, from Armenia, is a student studying social services in Los Angeles. So are Kati and Marilyn from USC’s School of Social Work. They’re all incredibly positive and alert for the count. “A lot of people have a misconception that the homeless are lazy, but some are mentally ill and do need assistance,” says David Grande, who is at the count with his younger brother, Johnny and their mother. 8 p.m. Orientation – Our instructor, Annie, a public defender by day, carefully reads an introduction and details our assignment for the night. Groups of four or more people will be on foot or driving through neighborhoods in Montebello, East Los Angeles, Monterey Park and Maywood. We’re asked not to go into hospitals or to poke our heads into cars or RVs. Our informational packets categorically define shelters with blankets or shopping cars as makeshift. Also, we’re not to talk to or engage with any of the homeless on the street. We’re asked to give them their space and privacy. 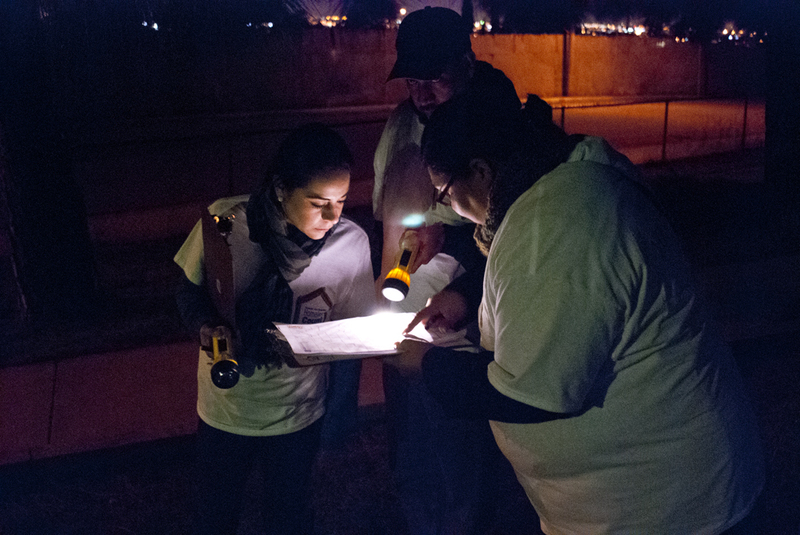 A 211 Referral Card is included in our field kit with flashlights, a clipboard, map and t-shirts that distinguish us as volunteers. The counting is broken into three categories: individuals, families and shelters, including vehicles. Family units are categorized by the number of adults over the age of 18-years, the number of children and gender, as well as an unknown gender category. Since we’re not to speak with any of the homeless on the count it seems more than likely that we will be approximating age and gender. 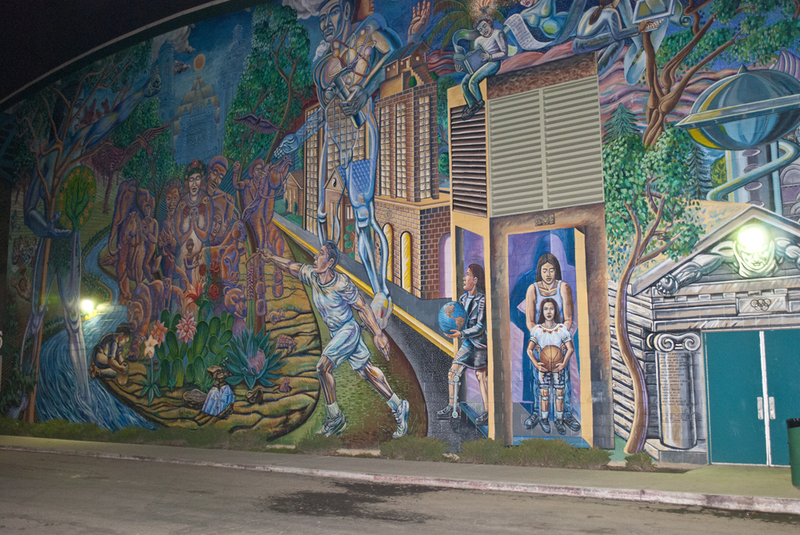 We’re encouraged to look in all places and locations where we think the homeless would be found – riverbeds, freeway underpasses, parks, alleys, behind stores/churches and other(?) The other and the question mark is included in the packet. We’re told to introduce ourselves to our neighbors in the auditorium. The woman sitting next to me introduces herself as Liz, 28, who is a homeless mother of two. She’ll be going on the count tonight as a score keeper or counter. She lives in a shelter in downtown, which she says had a wait list for close to three months. Now she wants to do something for other homeless. “In having to go through the experience and having two children myself, I just wanted to get mored involved,” Liz says. 8:45 p.m. Groups are assigned locations. 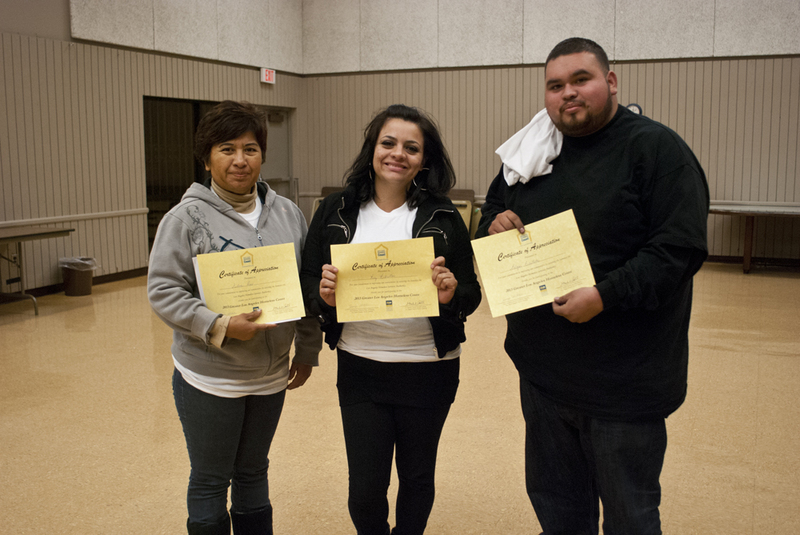 Mark and Alyse, volunteer for the city of Maywood. David and Johnny Grande, with their mother, take another route and Kati with Marilyn and a third person take Montebello. 9 p.m. Since I’m with the media my route is going to be in the area surrounding the Centro Maravilla Center, an area with a greater chance to sight any homeless. I’m assigned with Joanne, her boyfriend Gary and their neighbor Amanda. We drive less than five minutes from the Centro Maravilla Center in Gary’s Honda to Hazard Street and Hammel Avenue. Save for the elementary school, a church and a few shops, the area is mainly residential and quiet. Few people are out on a weekday. Gary and I circle two blocks on foot and pass dozens of homes with the blue glow of televisions through their windows. La Virgen de Guadalupe sits at the front of a few yards in makeshift altars. We pass a taco stand and exchange hellos with the men, who look at us strangely in our white t-shirts. 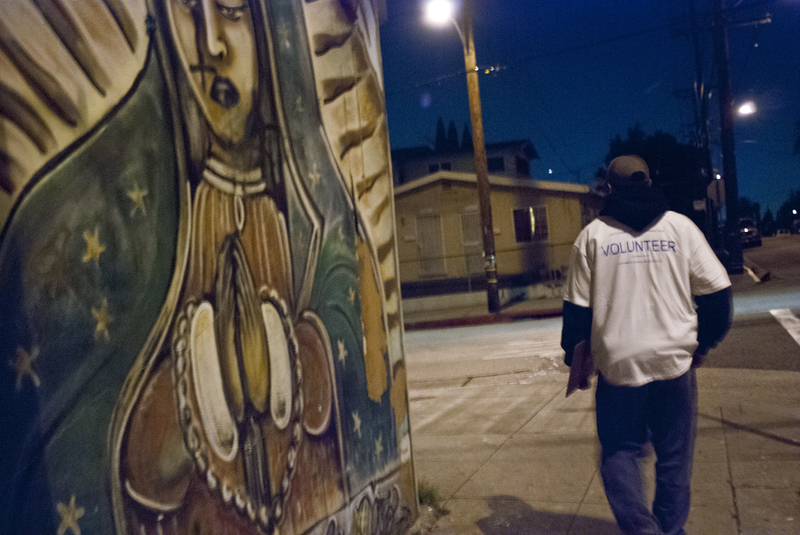 The word ‘Volunteer’ on the back of our shirts doesn’t mean much in a Latino neighborhood. 9:25 p.m. We meet back at the car. Joanne and Amanda found no homeless and neither did we, so we scratch off our walking tour. We drive around some more, and since this is their neighborhood Joanne points out their church and where she volunteers. The neighborhood is still and few other cars pass us on the street. 9:35 p.m. We snake through the narrow streets and we get to an alley that’s too narrow for the car. Amanda and Joanne want to walk through, so I accompany them while Gary circles the block. There are people in their backyards watching t.v. or eating food as we pass through and we smile awkwardly and get back into Gary’s Honda. 10:00 p.m. We arrive at City Terrace Park and I’m ready to encounter anything. But when we step out on foot the playground is full of teenagers playing on the swings and a few other groups sitting on benches playing games. Amanda and Joanne laugh, because the park seems lively. All the lights are on and flood the park with ample security. We walk parallel to a field in our white shirts and clipboards, with our flashlights and we hear the teenagers laughing stop for a second to take notice of us. The restrooms are locked, but the lights are left on. “A number of times we’ll see people who sleep here. But it might be too early in the night for them,” Joanne says. “We don’t come here at night, really late, but a lot of them are told to leave by the police,” Joanne adds. We cross the park and make our way down to a steep embankment. We peer into bushes and see nobody, and no signs of any makeshift tents or even garbage for that matter. 10:40 p.m. We leave the park and finish our second route. Final count: Zero homeless, zero makeshift tents and zero families on the street. 10:55 p.m. We return to the Centro Maravilla Center. Since there are so few volunteers for the night some groups have taken two or three routes. Liz, the homeless volunteer from before, has returned two times in the night to get additional routes. Dianne, the on-sight coordinator, waits by a pile of clipboards and informational packets. She collects our two routes and gives a half smile. We get a drink of water and head out for our third route of the night. 11:20 p.m. This third route takes us a few blocks south. 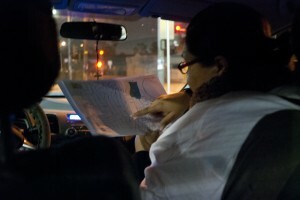 Our group is determined this round, so Joanne points at the corner of the map and we make our way to a parking lot near the 710 onramp. Amanda spots a shopping cart with a blanket draped over, and a person hugging him or herself. Gary turns the car around and the headlights catch the person’s back and then we drive to the other end of the parking lot. “There’s another one!” Amanda shouts, pointing out the window at a second person under a blanket and hunched near a shopping cart. The tally marks are made and we drive out of the parking lot onto Eastern Avenue. 11:25 p.m. We were told to drive our second route and encouraged to drive for the third as well, while walking certain areas to cut down on time. It’s similar to our first route – mainly residential with the Chinese Cemetery off of 1st Street and Marianna Avenue Elementary School. A man in a wheelchair sits near the school, but then brings a cellphone to his ear and motions us away as we slowly drive down the street. 11:30 p.m. Around some of the more narrow streets the properties hug the sidewalks, with doors opening a few feet from the street. At one point we see a narrow street and guess wrong that there’s a way out. “It looked like there would be a way out,” Joanne says to us. Gary reverses the car for a few hundred feet and we look out the windows as people come out of their doorways, wondering what exactly we’re doing. 11:40 p.m. We walk through Obregon Park and at the same time we hear police sirens and helicopters circle the night sky. Obregon Park is empty and we cut the dark with our flashlights, but all we come across are evening runners and a cat. The area seems ideal for someone to sleep at night with high bushes and not as many bright lights as City Terrace Park. After we circle the park we make our way out to Michigan Avenue and see some kids walking into a yard. It feels late, but the kids seem wide awake from where we’re standing. Midnight – We finish our third route and head back to the Centro Maravilla Center. Joanne, Amanda and Gary seem tired, but excited. Joanne is an investigator for Children’s Law Center of Los Angeles and she convinced Amanda and Gary to come along for the count. “The last count we did, was in 2011 and it was in Hollywood. It was so much more lively. It seems like this year’s count didn’t have as much publicity, or at least not as much outreach to the community,” Joanne says. 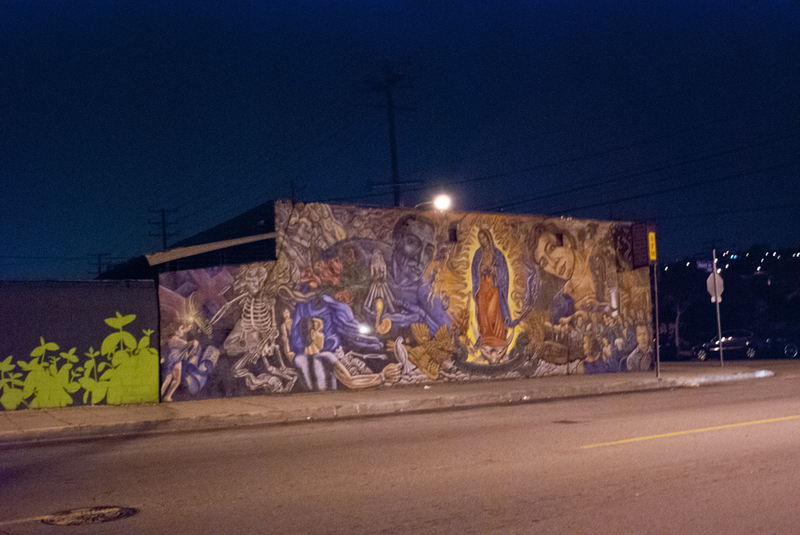 12:05 a.m. We learn that two other groups are still out – the Maywood and Montebello groups. “It’s been a long night, but we’re almost there,” Dianne says. We’re handed certificates of appreciation from LAHSA. The Montebello team look back at her with a puzzled look. 12:45 a.m. I drive out the center’s parking lot and before getting on the freeway I circle back to the parking lot where we found the homeless person huddled under the blanket. I see a shopping cart, tipped over and a blanket on the ground, but no person.